Zalem has created replicas of Alita to serve as its secret weapon in quelling the Barjack Rebellion—and their final test is to destroy the original! 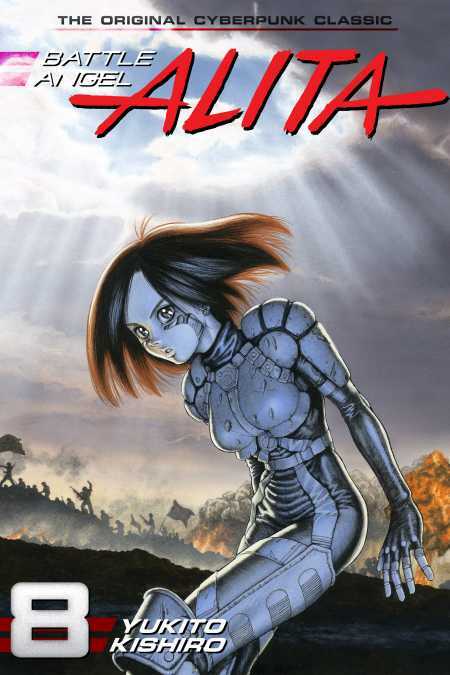 Stunned and disoriented, Alita easily falls in battle. Meanwhile, Kaos wages a solitary battle against his own past and father, Desty Nova, and Den readies a giant railway gun that can shoot down Zalem. How will these three battles intertwine, and what will their resolution bring? !